Numbers are a universal language. They reflect an intelligible and neutral understanding about what is happening on the ground. Measuring should threfore be a random activity in the daily life of any Customs service searching to improve its procedures as part of its efforts to enhance its economic competitiveness. 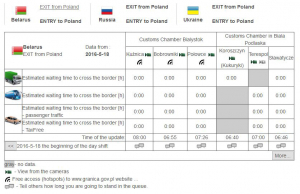 This article explains how the Customs Service of Poland has been using Time Release Studies (TRS) to improve border clearance processes, and keenly advocates the publication of performance results. The Trade Facilitation Agreement of the World Trade Organization (WTO TFA) clearly states in Article 7 (paragraph 6) that “Members are encouraged to measure and publish their average release time of goods periodically and in a consistent manner, using tools such as, inter alia, the Time Release Study of the World Customs Organization”. To conduct a TRS, countries can refer to the WCO TRS Guide – a document containing comprehensive and practical tools for the purpose of TRS implementation and analysis. It rightly underlines the three stages of the study: preparation; collection of data; and analysis of the results. However, another useful stage could be added: the optimization of procedures where results are not satisfactory, followed by the undertaking of a new assessment. This would close the circle. The result of a TRS and any other performance measurement activity should be published, in line with Standard 9.1 of the WCO Revised Kyoto Convention which provides that “the Customs shall ensure that all relevant information of general application pertaining to Customs law is readily available to any interested person.” This idea is reiterated in the WCO Transparency and Predictability Guidelines, which list the ‘results of performance measurements’ among the information that Customs is encouraged to publish. Not only should results be made public, but “experiences in measuring average release times, including methodologies used, bottlenecks identified, and any resulting effects on efficiency” should be shared according to Article 7 (paragraph 6.2) of the WTO TFA. 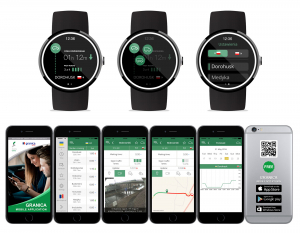 Given the WCO’s role as a platform for information sharing and cooperation, and the focus the Organization has been putting on performance measurement over the last few years, I would like to share the Polish experience on the use of Time Release Studies (TRS), as well as my views on the publication of TRS results. 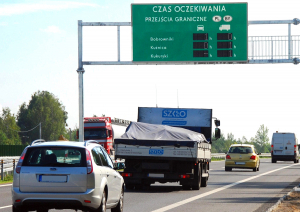 One key step towards the implementation of a performance measurement approach in Poland was the adoption of the ‘Business Strategy of the Polish Customs Service’ for the period 2014 to 2020. The strategy established goals which triggered projects, leading to the need for measurement. Another key driver was meeting the expectations of trade operators and travellers in terms of time – time taken to release goods and for crossing borders. A set of indicators were developed, and are constantly being monitored. These indicators are made public, as well as the results obtained against the objectives outlined in the strategy. Two of these indicators directly refer to the time taken to release goods and to process people crossing the border, a process which may not only involve the Customs service, but also other border agencies. Among other agencies that the Polish Customs Service cooperates with in collecting data on average crossing times is the Border Guard. Truck drivers and cross-border travellers are also questioned, in order to verify official measurements. Moreover, occasionally the results are verified by non-governmental organizations (NGOs). The aggregated data is available online. A project is currently being tested to improve the measurement process. 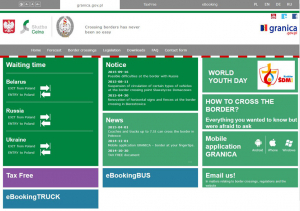 It involves the use of a more sophisticated technology: drivers can confirm their position at the border via a dedicated application installed in their GPS and/or mobile phones. The methodology used for the TRS was carefully designed by a joint team of Customs and Border Guard officers, and approved at the highest level. The results are analysed every day by local duty officers. If waiting times exceed the levels deemed as acceptable (and publicly declared as such), Customs managers are obligated to take appropriate measures, as defined in a reaction plan. The results are regularly discussed at management board meetings, where benchmarking exercises between border crossing points are notably examined. On large-scale monitors installed at the crossroads of highways close to the border. 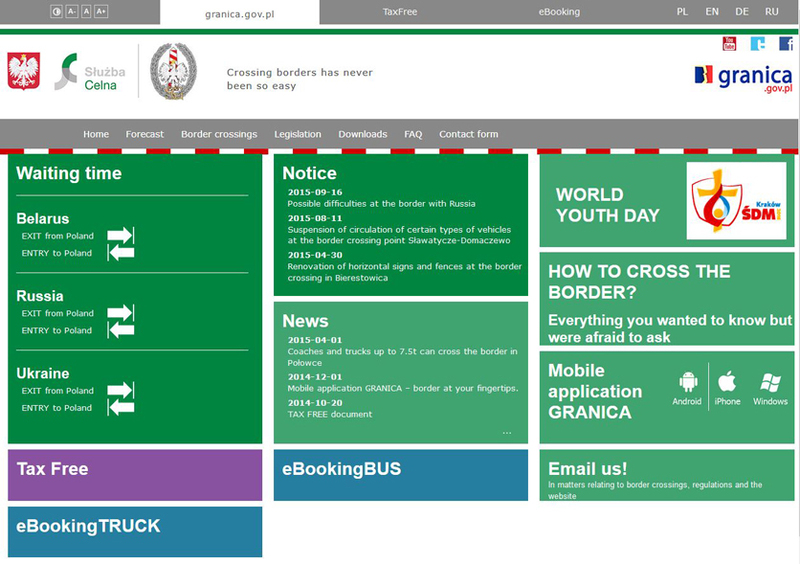 People visiting the granica.gov.pl website may access a wide variety of information in a number of languages, such as Customs and immigration provisions, relevant addresses, and required documentation. Even a virtual tour of the border crossing point is available that includes the border control verification process. The tour is popular with tourists visiting Eastern Europe for the first time. Anyone having doubts about the veracity of the information provided via the media channels may verify the actual situation at the border point of their choice by connecting to the web cams installed on the roads leading to them. 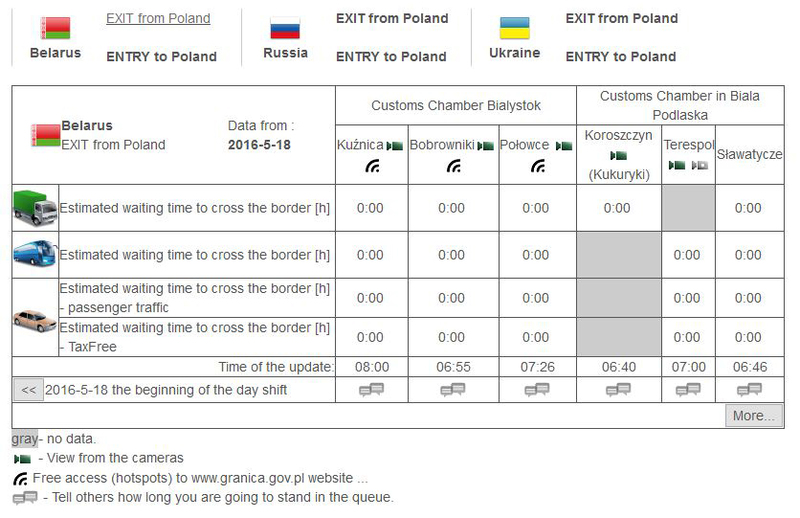 Publicly declaring waiting times has had an impact on the Customs workflow. Different facilitation schemes were set up at land border crossing points: green lanes for low-risk commodities and vehicles; fast lanes for authorized economic operators (AEOs) and empty trucks; and pre-booking of clearances, etc. A four-party agreement was signed between the Polish Customs Service and the Border Guard on the one side, and their counterparts in neighbouring countries on the other side. In terms of the agreement, each side stipulates the minimum and maximum numbers of cars and trucks to be cleared per day, as well as the amount of time required and the methods used to respond to identified irregularities or fraud. This border management agreement enables bottlenecks to be avoided. If wait times are excessive, all the parties would know how to react appropriately. The performance of the agreement, as well as the set limits, is verified regularly, and approved at Director-General level. Last but not least and as mentioned above, NGOs also play a role in monitoring border processing performance. Reports by NGOs are discussed together by Customs Service and Border Guard officers. Seaports are gateways that are essential to the welfare of many countries. Ensuring that the flow of goods is processed smoothly through such entry points is, therefore, critical, especially as competition between and within countries is stiff. Yet, a few years ago, the situation was completely different, and rather worrisome. The trade community complained about long waiting times – it took up to three days to release a shipment. All port stakeholders worked separately, and some procedures and data were duplicated. As a result, Polish ports were losing competitiveness. This led to the Polish government deciding to correct the situation. The Customs Service was given the task of coordinating the necessary reforms, together with more than 15 different agencies authorized to check imported and exported goods. Project ‘Porty 24h’ (Seaports 24h) was launched with the idea that all procedures related to the clearance of goods, the transfer of containers, etc., would have to be finalized within 24 hours, unless specific situations occurred, such as a missing entry declaration, the temporary storage of goods, or a quarantine issue. Detailed procedures were adopted, and the necessary information technology (IT) solutions developed. The ‘24h rule’ was later enacted by the national parliament and became law. To coordinate controls, all agencies, following individual risk assessments, are obliged to notify their requests for physical examination in advance. Customs coordinates the time and place of the controls, which are carried out following a one-stop-shop model. The results of every control or activity undertaken by Customs, the Veterinary Inspection Service, the Sanitary Services, or any other agency are submitted to a common IT platform which is available to all. The Customs Service – as the coordinator of the Seaport 24h project – provides, on its website http://pkc.gdynia.uc.gov.pl/statystyki/gdynia, the consolidated performance results of all the agencies. These results are broken up for each seaport, listing the average waiting time, as well as the shortest and the longest release times. Daily TRS reports are available online. Since the project became operational, less than 0.5% of all agencies’ control procedures exceed the declared 24h. The average time to process a shipment is 10-12 hours. The binding character of the 24h rule is a crucial component of the project’s success. It is worth noting that there are no sanctions for extra hours. Therefore, the key element of compliance can be attributed to the fact that the results are made publicly available! This was, and still is, a very strong motivating factor for all stakeholders taking part in the Seaport 24h project, playing a bigger role in motivating officers than the performance evaluation conducted by senior management internally at each agency. The project has received positive comments from the World Bank. Poland achieved the first rank in the Doing Business 2016 reports in the ‘Trading Across Borders’ index, which measures the time and cost (excluding tariffs) associated with three sets of procedures – documentary compliance, border compliance, and domestic transport – within the overall process of exporting or importing a shipment of goods. TRS projects usually contain a disclaimer stating that “the data is not to be published, and that no ranking is to be made among participants.” I would argue that such an approach is wrong. The above examples clearly show that publicly relayed results can be a very effective motivation factor for Customs officers, and also for other governmental and non-governmental bodies. It enables inter-agency cooperation to be improved, clear communication mechanisms to be set up, and trade community expectations as well as transparency obligations to be met. Any benchmarking exercise is indeed a good starting point to review practices and further improve administrations. Moreover, it enables recommendations to be drawn up and promoted at the international level. There is another strong argument for the publication of TRS results and other performance statistics: if no official data is available, unreliable information that is difficult to refute would be relied upon, which may distort the perception of the public in a negative way. Not only would the work and efforts undertaken go unnoticed, but people could think that we have something to hide, or that we are not doing anything. Naturally, not every indicator in a performance measurement scheme should or can be made public, as some are particularly sensitive. Yet, none of the results emerging from a TRS is confidential. Therefore, there is no reason why we should not declare loud and clear that our figures are fine, when they are actually fine.